Expect to meet plenty of tourists at this indoor penthouse/partially heated outdoor roof deck as we get farther into fall and eventual winter. (Watch out -- it’s right around the corner!) 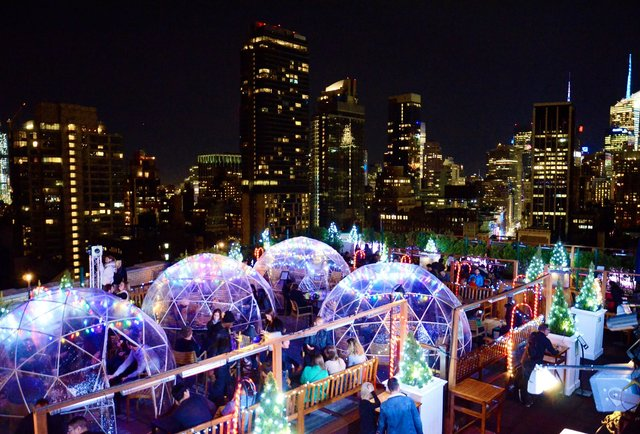 The space is adorned with artificial igloos that fit up to eight. The place fills up fast, and, like most rooftops, it skews spendy, so swing by on weekdays from 2-7pm for $6 beers, $7 wines, and $8 well cocktails.